Islamabad, March 24: A war of words broke out between two senior ministers of Pakistan and India on Sunday over the reported abduction, forced conversion and underage marriages of two teenage Hindu girls in Sindh province. 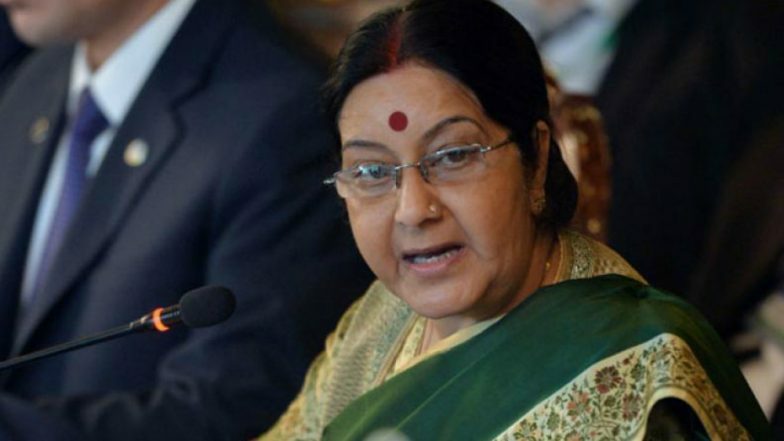 Swaraj, while tagging a media report about the incident, tweeted that she has asked the Indian High Commissioner in Pakistan to send a report on the matter. Pakistan: Two Hindu Teenage Girls Abducted And Forcibly Converted to Islam on Eve of Holi; Sushma Swaraj Seeks Details From Indian Embassy.